So Gad went to David and said to him, 'Shall there come on you three years of famine in your land? Or three months of fleeing from your enemies while they pursue you? Or three days of plague in your land? Now then, think it over and decide how I should answer the one who sent me.' "
Joab did not want David to take the census because David was merely counting the men for the king’s own purposes. When a leader like Moses took the census as he did in Num. 1:1-2; 4:1-2; 26:1-4, he did it at the Lord’s command, “The Lord said to Moses and Aaron: ‘Take a census…” But, for the king to take a census he is to collect a half shekel “to atone for your lives” from each one “at the time he is counted.” When the Lord counts the people in a census he is doing it for his purpose, but when the king takes a census he is counting God’s people for the king’s business and because of this the people must be atoned for with an offering given to the sanctuary. I think and reason in ignorance or speculation. 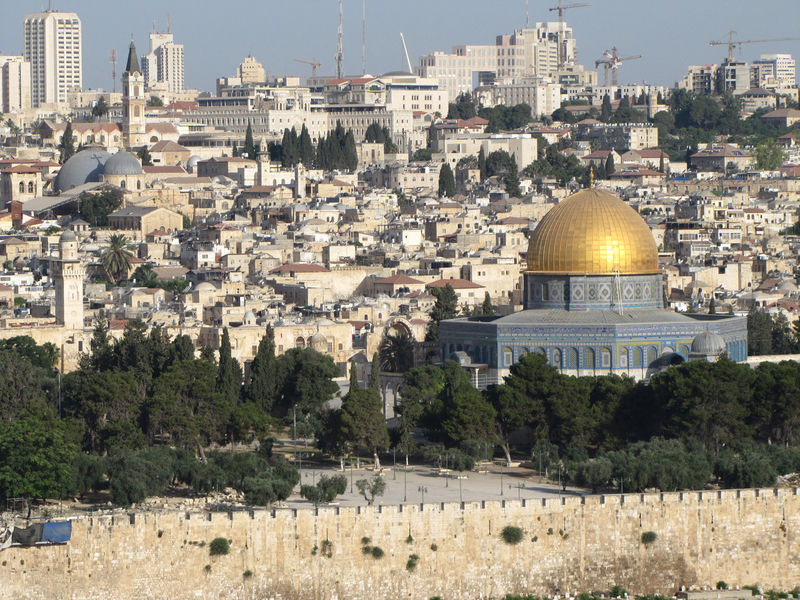 A view of Jerusalem from the Mount of Olives. The two grey domes to the far left are roofs over Calvary and tomb of Jesus in the Church of the Holy Sepulcher. The gold dome of the Dome of the Rock sets where the Jewish temple stood on the Temple Mount. 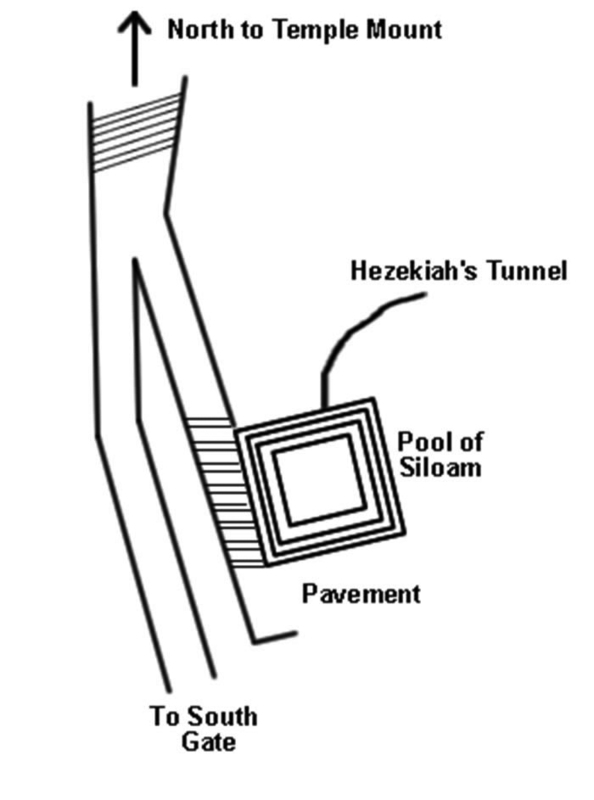 Details of the steps/road leading north to the Temple Mount and the position of the Pool of Siloam and Hezekiah's Tunnel. "The wisdom of the prudent is to give thought to their ways, but the folly of fools is deception." Failure isn’t the end unless you quit. 11 Then the Lord said to Moses, 12 “When you take a census of the Israelites to count them, each one must pay the Lord a ransom for his life at the time he is counted. Then no plague will come on them when you number them. 13 Each one who crosses over to those already counted is to give a half shekel, according to the sanctuary shekel, which weighs twenty gerahs. This half shekel is an offering to the Lord. 14 All who cross over, those twenty years old or more, are to give an offering to the Lord. 15 The rich are not to give more than a half shekel and the poor are not to give less when you make the offering to the Lord to atone for your lives. 1 The Lord spoke to Moses in the tent of meeting in the Desert of Sinai on the first day of the second month of the second year after the Israelites came out of Egypt. He said: 2 “Take a census of the whole Israelite community by their clans and families, listing every man by name, one by one. 4 The Lord said to Moses and Aaron: 2 “Take a census of the Kohathite branch of the Levites by their clans and families. 6 David again brought together all the able young men of Israel—thirty thousand. 2 He and all his men went to Baalah in Judah to bring up from there the ark of God, which is called by the Name, the name of the Lord Almighty, who is enthroned between the cherubim on the ark. 3 They set the ark of God on a new cart and brought it from the house of Abinadab, which was on the hill. Uzzah and Ahio, sons of Abinadab, were guiding the new cart 4 with the ark of God on it, and Ahio was walking in front of it. 5 David and all Israel were celebrating with all their might before the Lord, with castanets, harps, lyres, timbrels, sistrums and cymbals. 8 Then David was angry because the Lord’s wrath had broken out against Uzzah, and to this day that place is called Perez Uzzah.